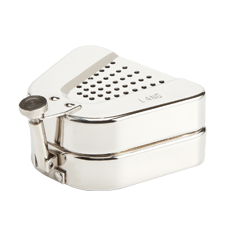 The Duplicator Flask is as easy to fabricate dentures, surgical guides or stents with self-curing acrylic. Your patients will appreciate your ability to immediately respond to their critical denture needs. We recommend you use the Duplicator Flask with the Aquapres and Jet Acrylics to maximize efficiency. To order a Duplicator Flask, click on the image to the left. 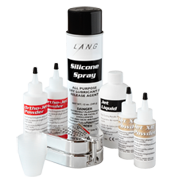 For use with the Duplicator Flask to create a dense and color stable denture. 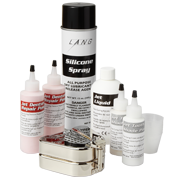 Also, use the Aquapres with Lang’s ReFlex Reline Jig for high quality results by eliminating porosity in any self curing acrylics. 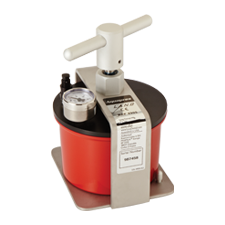 A hydraulic pressure curing unit that improves the fabrication process. It only requires water, no compressed air needed. This curing unit produces clear and bubble free surgical guides and stents. Easy to use. Portable for use anywhere in the field. To order an Aquapres®, click on the image to the left. Fabricate full or partial dentures in-house providing immediate care to the patient as an economical alternative. For the best fit, the ReFlex Reline Jig accurately aligns any denture and eliminates the guess-work. 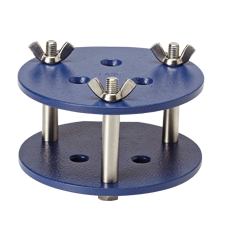 It is specifically designed to perfectly fit the Aquapres® to add a higher level of success. To order the ReFlex™ Reline Jig, click on the image to the left.